The Ant & Mike Show - "We Do More Than Gossip": Wall Street in Crisis - What's Next? Wall Street in Crisis - What's Next? Unless you have been under a rock this week, you have heard about the terrible times that are hitting the financial industry with the $85 Billion dollar Goverment bail out of AIG and the record lows on the Dow Jones. 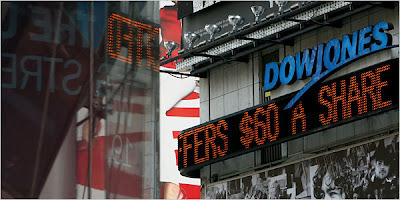 I am not the most stock market-literate person out there, but when the Dow drops 300 points overnight - I am concerned. 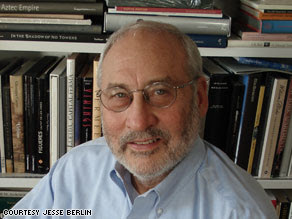 Well, today I ran across some interesting ideas from Columbia University professor Joseph E. Stiglitz. Stiglitz was awarded the Nobel Prize in Economics in 2001, and he has some recommendations on regulations our government needs to inact. With this being a Presidential election year, we all need to take the time to understand the major issues and have relevent research to back our thought processes. Take a look at Stiglitz recommendations below and make sure to listen close to our Presidential nominees to see if they are speaking to the issues and how to rectify the problems. And in closing... Obama 08!!!! We Need Change!!! !